24th June 1884. Stamp £12.10.0. 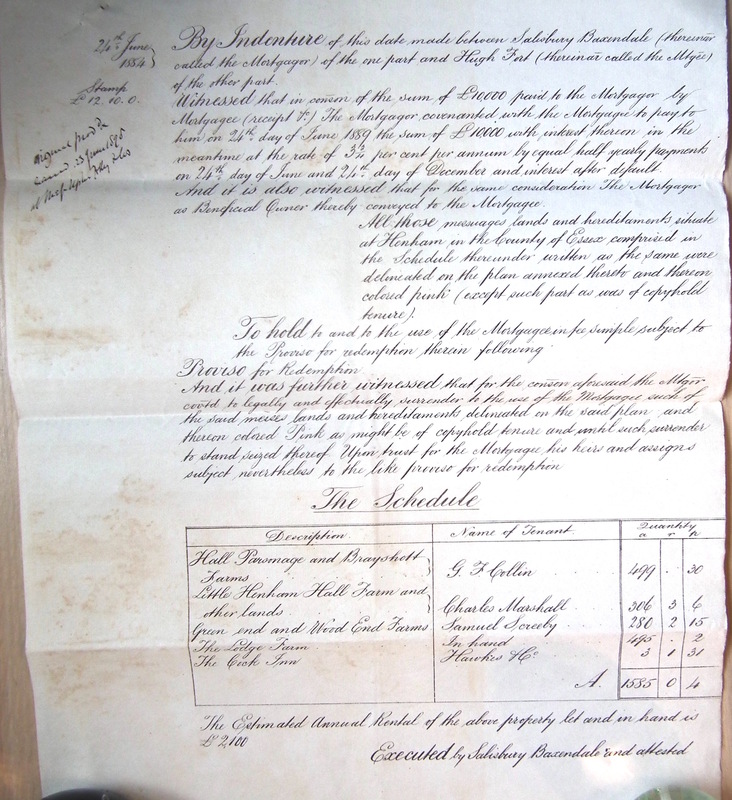 Signed, produced and … 23rd .. 1898 at …. 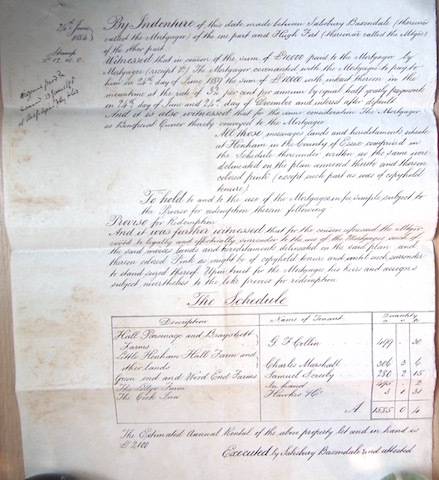 By Indenture of this date made between Salisbury Baxendale (thereinafter called the Mortgager) of the one part and Hugh Fort (thereinafter called the Mortgagee) of the other part. Witnessed that in consideration of the sum of £10,000 paid to the Mortgager by Mortgagee (receipt ..) The Mortgagor covenanted with the Mortgagee to pay to him on 24th day of June 1889 the sum of £10,000 with interest thereon in the meantime at the rate of 3 3/4 per cent per annum by equal half yearly payments on 24th June and 24th day of December and interest after default. To hold to and to the use of the Mortgagee in fee simple subject to the Proviso for redemption therein following.